ATLANTIS, THE LOST CONTINENT—-stalwart Greek fisherman returns pouting princess to her home and the results are wide eyes for kids under five, some guffaws for adults, migraines for acting coaches and inspiration for fledgling screenwriters worried their work might not be good enough. Borrowing ideas from H.G. Wells and Jules Verne (man-beasts, submarines) and shamelessly pillaging stock footage from Quo Vadis can’t keep this above C-level (I stole that line, but I forget who from), thanks to really bad scripting, and two ghastly performances from stars (not to be) Tony Hall and Joyce Taylor. 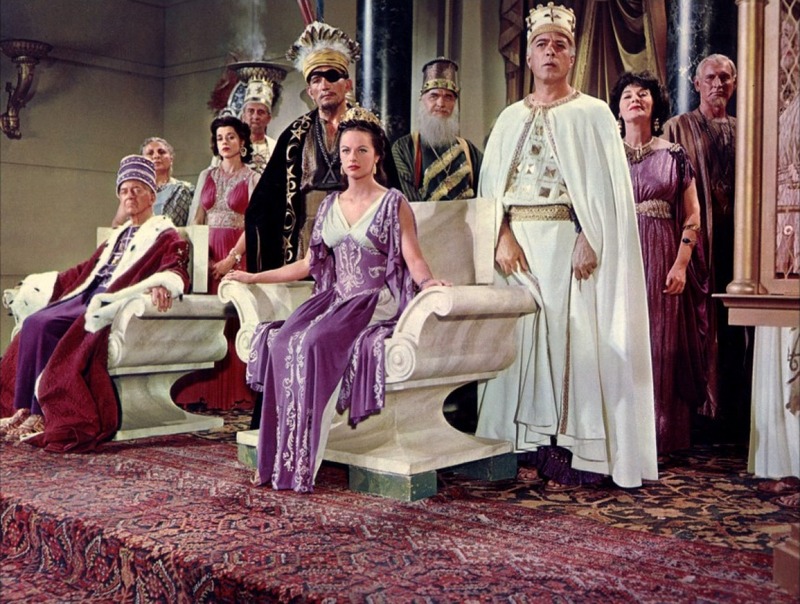 Watching actors like Edward Platt, William Smith and Frank De Kova outfitted in the headgear and togas of ancient times is good for a yock, but if you want to save time, just tune in for the last ten minutes. You’ll get a dose of the acting, costumes and sets, and see Atlantis crumble and sink, which is the whole idea anyway: it’s obvious but eye-filling in a pleasantly nostalgic kind of way. Directed by George Pal in 1961, it runs 90 minutes, and features John Dall, Berry Kroeger and Jay Novello. The colorful nonsense grossed $4,300,000.